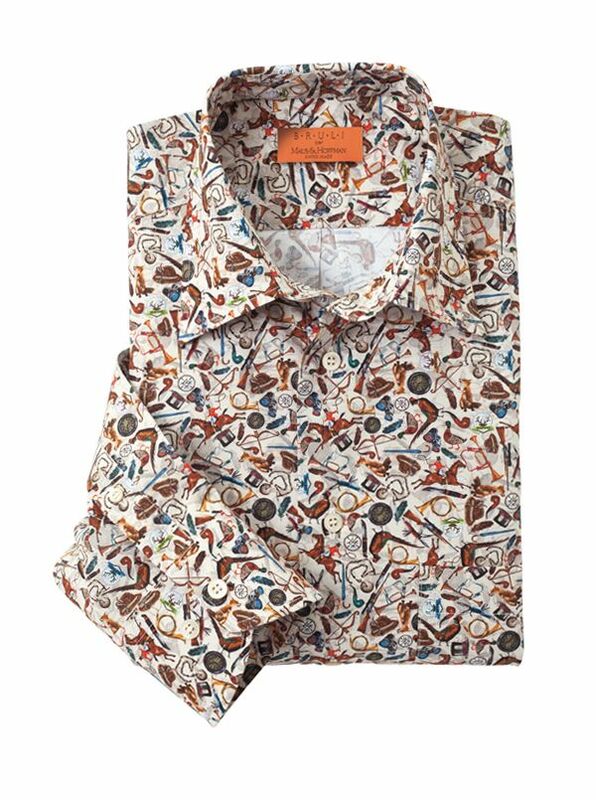 'Stefano' Hunt Print Bruli Shirt is replete with images of the hunt printed on pure cotton. Tailored in Switzerland with soft point collar long sleeves. In Switzerland just above the Italian border the family-owned Bruli company produces shirts of excellence. The Bruli shirt is a unique synthesis of the Italian flair for style and color flawless Swiss tailoring and American preferences and fit. All are tailored in Switzerland expressly for M&H of pure cotton woven in Italy.